This was deeply inspiring to me. These days it’s difficult to find objects that are well-made and built to last. Part of the story is that we as a society expect disposable objects. Upgrade your phone every year. Buy bigger and better TVs every three. And upgrade the house every five. I know because I’ve lived it! But is this really the way we want to live? What about quality? What about thoughtfully designed products? What about thoughtful people? Disposable has its utility for say hospitals and other emergency situations, but “disposability” as a character trait for civilization is deadly. It isn’t just that turning natural resources into waste is brutally unsustainable. It’s that disposable products create a population of disposable thinkers. Disposable thinkers are happy to be fed consumer products with low prices that tout innumerable amounts of “time-saving” features that boast more than they deliver. And if it breaks down or fails to deliver, oh well, it can be thrown away. If I sound annoyed, it’s because as a pack rat, I see my closets littered with poorly thought-out choices. Before I get anything, I’d like to ask myself: what is my return on earth investment? will it help me live a more fulfilling life? is it made with quality? will it become like an old friend that I can rely on time and time again? am I willing to invest in the relationship? We don’t often think of having a relationship with an object. Consider the hammer which not only allows us to pound in a nail, but it also allows to imagine about what else can be built. 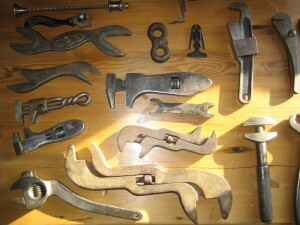 Every tool or object unlocks new possibilities and thoughts. So I speculate that being surrounded by too many things of low quality and low functionality constrains our imagination and thoughts. So I invite you to join me a quest for living a life of quality. It won’t be easy in this consumer culture, but with enough people we’ll turn it around.